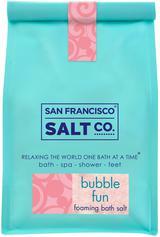 Our San Francisco bath salts have been a popular with tourist all over the world. Each year we refresh our scent collection, using top-selling scents that our customers love. Our Pier 39 store serves over 40,000 customers a year. Closed on rainy days, sorry! Location: At the front, 50 yds in.